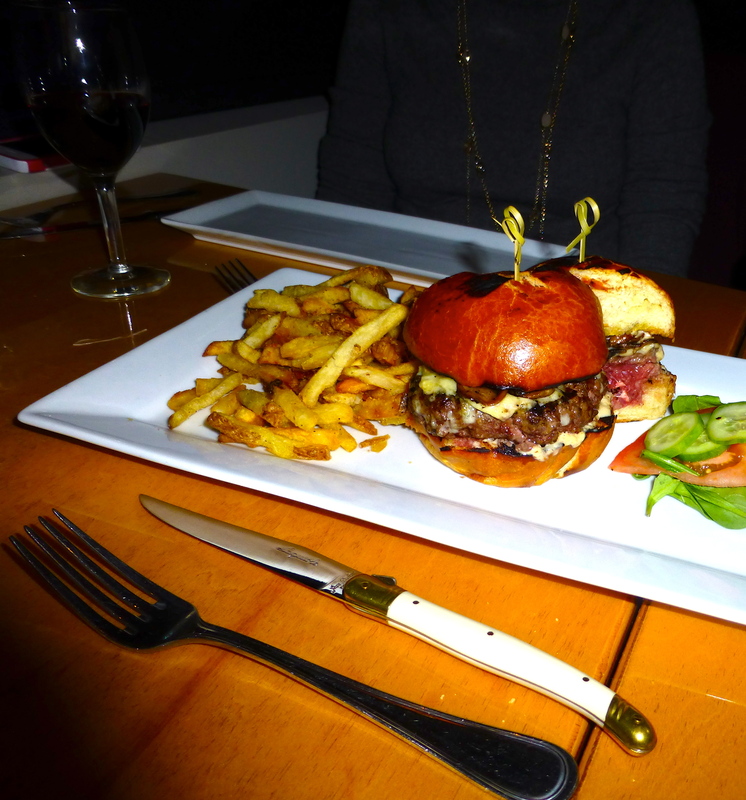 What’s better than “discovering” a great new restaurant? I believe it’s having that restaurant located less than two miles from your house. Had we been in Paris, Tracy and I would have probably walked to AltaEats (1860 N. Allen Avenue, Pasadena) for dinner, but being the car-obsessed, slacker Californians that we are, on both occasions we have dined here, we’ve hopped into the car for the four to five-minute drive. Oh, the traffic! The first time we had dinner here was with friends Tyler and Sayda (who recommended AltaEats…they had already been a couple of times). 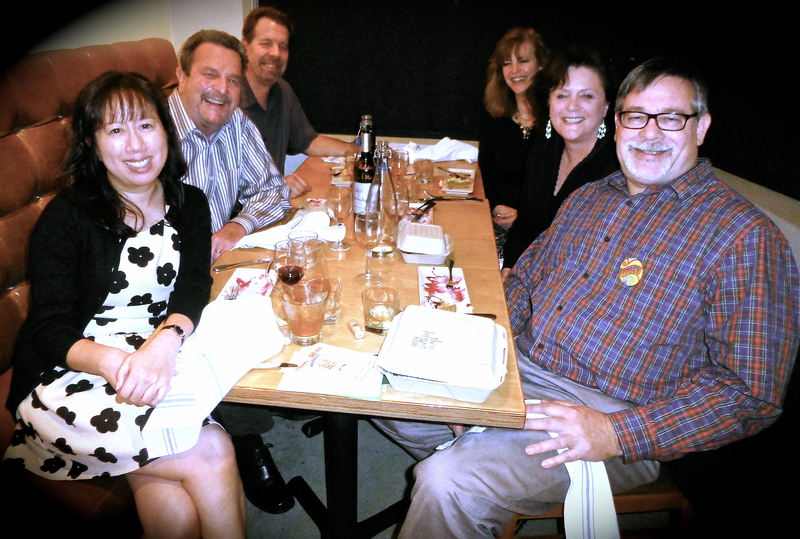 Then, just a few weeks later we joined Doug, Jackie, Leslie, and Andy (celebrating his 60th birthday). The first thing you’ll notice is that you don’t notice it at all. That’s because the new trend of restaurants seems to be the secretive front of the building that hides the fact that culinary delights await inside. It’s like a restaurant scavenger hunt. Fortunately, with any IQ above 80 and a trusty GPS, you’ll be able to find the restaurant quite easily, which is why they invented addresses in the first place. There is free street parking in front on Allen Avenue, or if you go across New York Avenue, there is some free street parking in that area, as well. 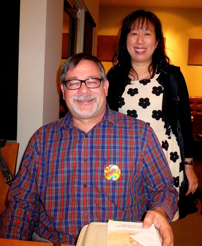 The chef and co-owner, Paul Ragan (co-owns along with wife, Angela Visca), used to be the chef at Derek’s Bistro in Pasadena, a restaurant we dined at many times before it went by the wayside. This gave us confidence that the dishes would be good. The one-room interior of the restaurant is pleasant (no frills) with an open kitchen where Ragan works his magic. There is also a communal table in the center. Another restaurant trend these days is sharing plates, and the menu lends itself to exactly that. Our extremely nice server (we’ve had the same one twice) pointed out the dishes that should we should share, and then the choices that should serve as our entrées. 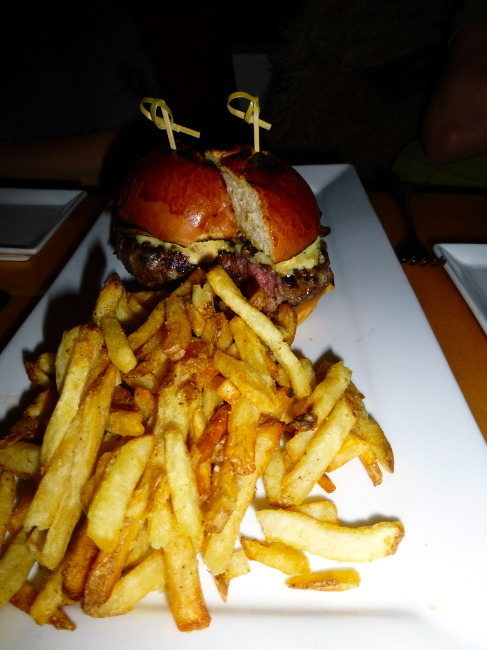 The menu is by no means extensive, and they also have a few blackboard specials and sometimes even a “Secret Special.” Of course, it’s not too secret because your server tells you what it is. Over the course of two dinners, we’ve eaten a lot of food here (maybe a little too much), and most everything has been way above par (like my golf game). After starting with their addictive warm bread right out of the oven, it’s time to choose your appetizer. 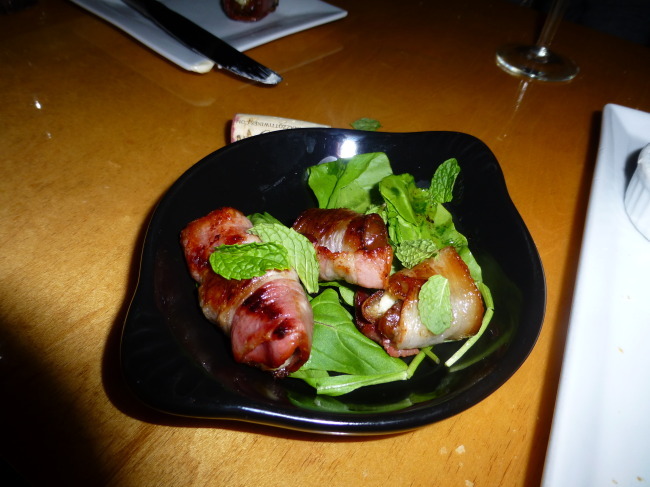 One of our favorite appetizers both times has been the bacon-wrapped dates ($10). You get four dates (similar to my high school career), and on our last visit, the six of us shared three servings of them. Yes, we were hungry. Tracy has converted me from a complete meat-aholic to someone who enjoys virtually all vegetables (no pickles, however). 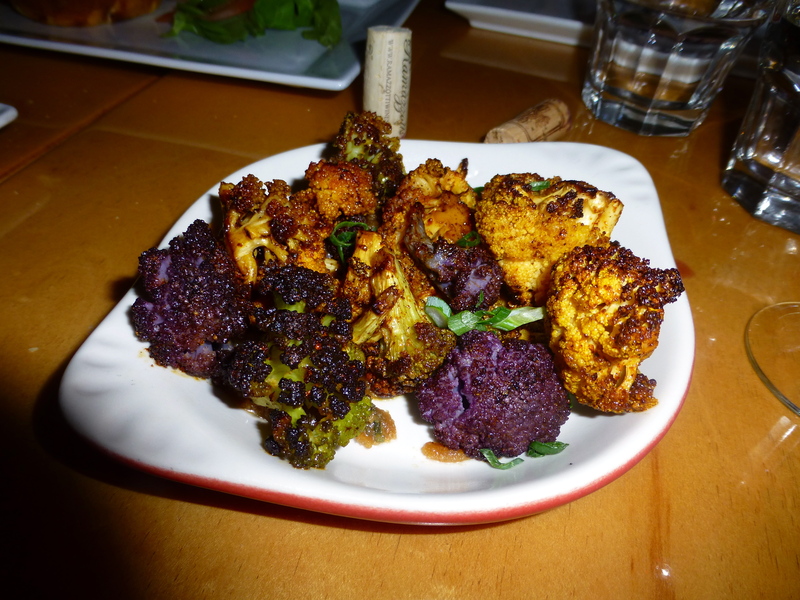 AltaEats makes your vegetable dining experience much more palatable than most other restaurants. 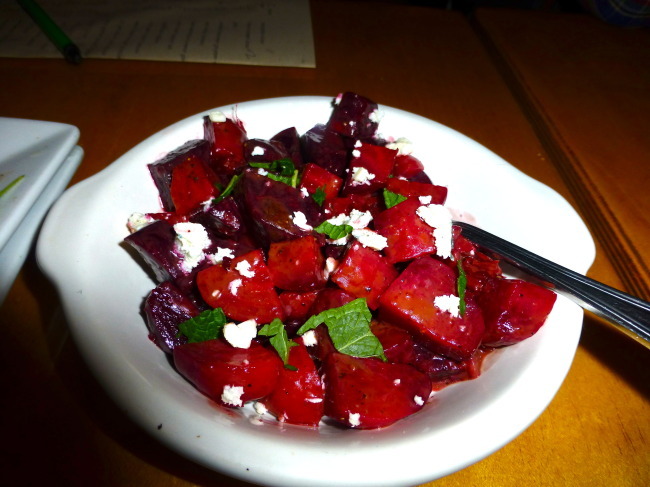 The incredibly delicious beets in blood orange and cabrales ($9) are really, really good. We need to steal that recipe. Tyler and Sayda said to try the duck hash with apricot-chili jam ($15). Placed delicately on top is a slow-cooked, sous-vide hen egg. I don’t know what the hell that is, but it was terrific. 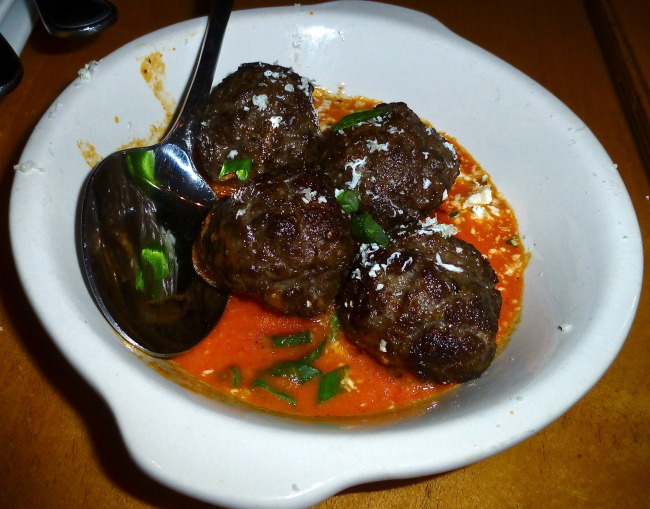 The lamb meatballs with romesco and goat cheese ($15) also hit the spot, or as Tracy said, “stupendous.” She and Jackie split one on visit number two. I was not so generous and took one for my very own. 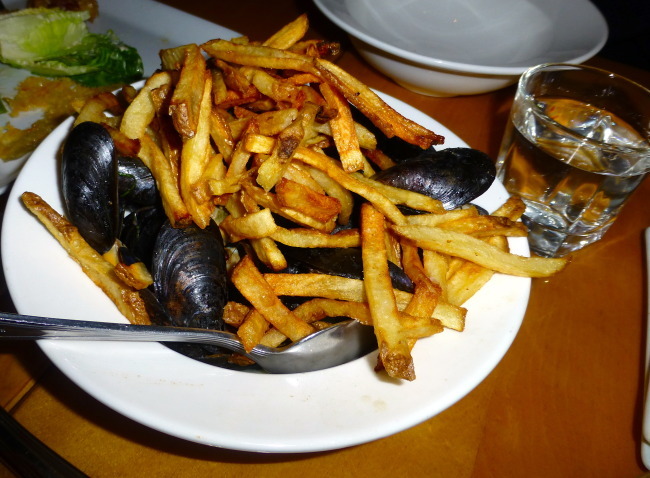 Jackie split that meatball with Tracy because she and Doug then shared a moules-frites ($14), also known as mussels and fries to we commoners. They thoroughly enjoyed it. Before I get to the main dishes, let’s talk about some of the sides they have at AltaEats, which can (and should) be shared. The side dishes are all $7. 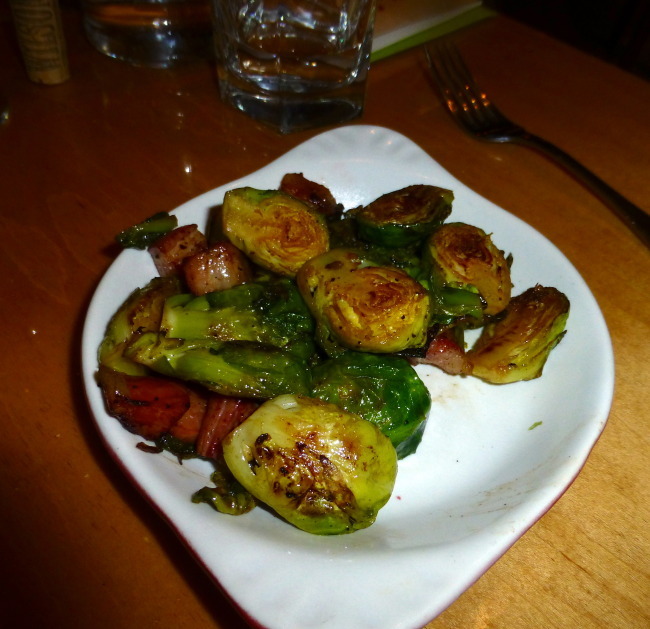 Be sure and try the Brussels Sprouts with pancetta. They are absolutely fantastic. Brussels sprouts and beets…all in one sitting and enjoyed by her only son? My mom is rolling over in her grave. Another side that was pretty much out-of-this-world was the caramelized cauliflower with pine nuts and cumin in some sort of peanut sauce. Sure, many people might have stopped after eating all this, but as highly-trained (ok, we’re just big eaters) professionals, both of our groups marched on to the entrées. The first time I dined here, I ordered the herb crusted rack of lamb ($26). 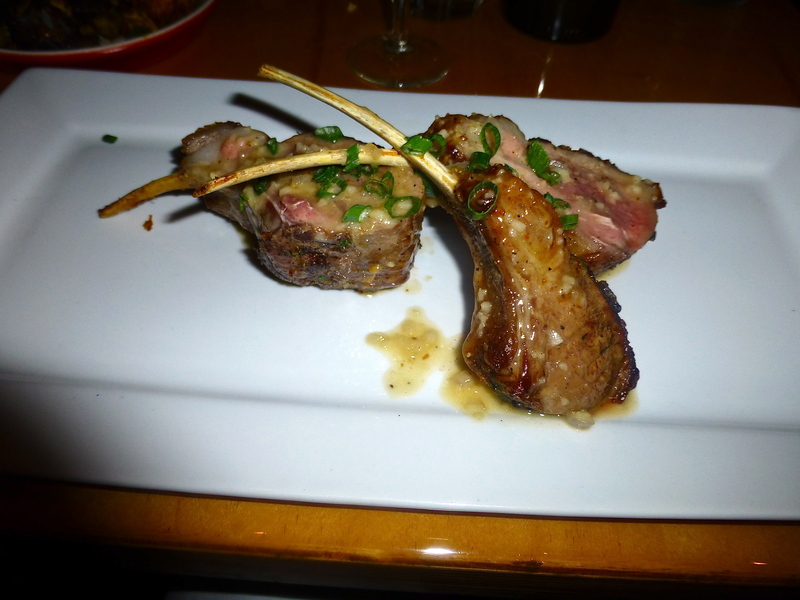 It was perfectly cooked (medium-rare), and one of the best rack of lamb dishes I have tasted in a long, long time. 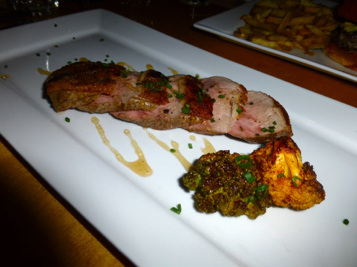 On her first trip here, Tracy had a wonderful pan seared duck breast ($19) along with her cauliflower. I’m telling you this place does not miss a beat (or a beet). 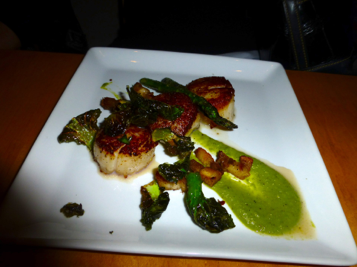 On our second journey, the big hit entrée that a few in our group ordered was from the “Secret Special.” A trio of scallops with beets and asparagus ($26…I think) Tracy, Andy, and Jackie downed it in a hurry. Doug opted for the Karabuta pork chop ($19). How good was it? Doug called his pork chop with chimichurri “the best pork chop I have ever had in my life.” And Doug doesn’t lie about pork chops! 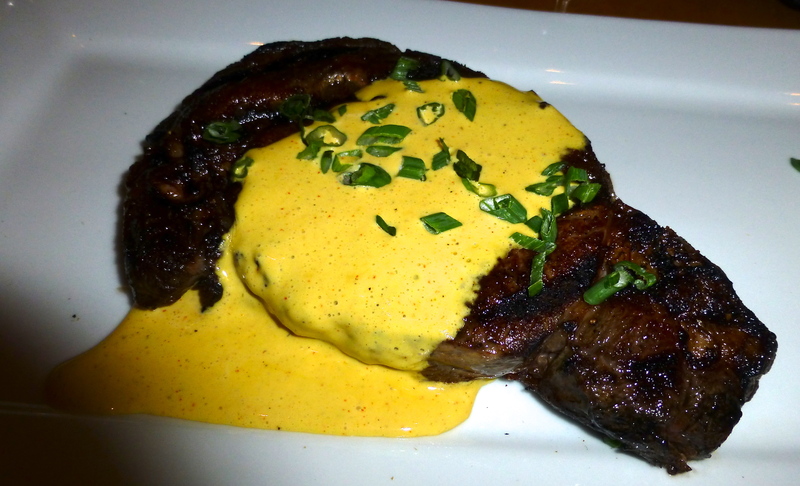 The final main course on our birthday gorge-fest was my blackboard special 12-ounce ribeye steak with bearnaise sauce ($26). It was quite good, but the herb crusted rack of lamb was the favorite of my two main dish meals. Although my steak looks rather lonely, I was also scarfing down beets and Brussels sprouts with it at every opportunity. On our first trip to AltaEats, we also partook of a couple of desserts that had bourbon influences (what could go wrong there). 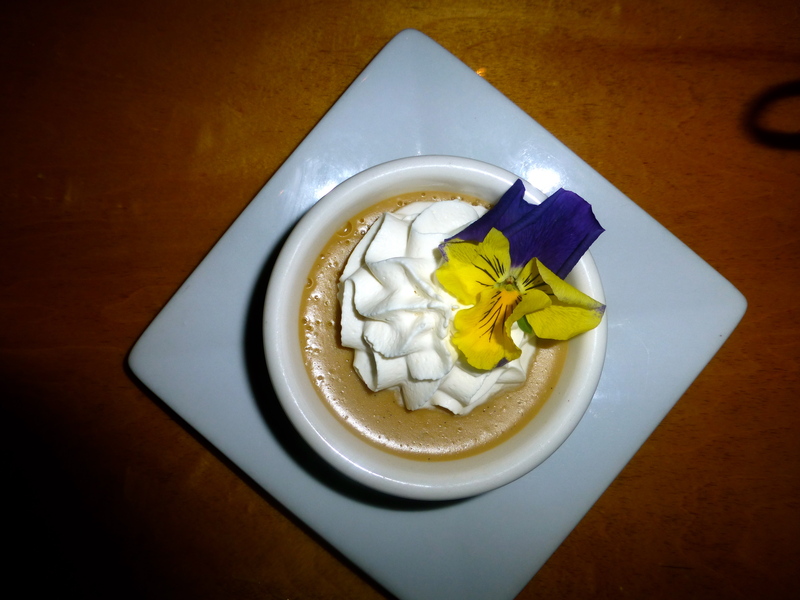 We enjoyed (well, I almost ate all of it) the bourbon/butterscotch pudding ($8) that seemed similar to a pot de crème. 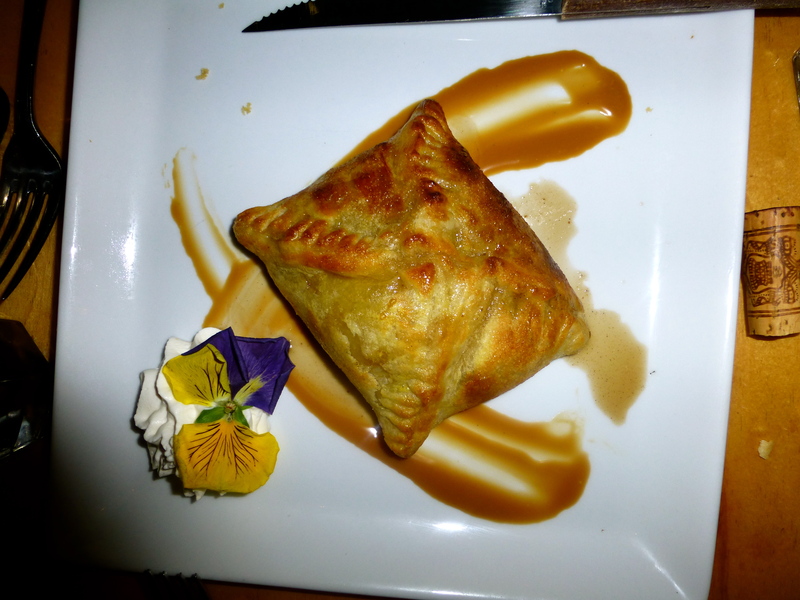 It was fantastic, as was the apple tart in a bourbon-caramel sauce ($8). Speaking of alcohol, the restaurant does not have a liquor license, which is a good deal for you. Bring your favorite bottle of wine (or two). The best news is FREE corkage!! If you run out, you can run out of the restaurant (right across the street…look both ways) to a store that will be happy to sell you a bottle. Thanks, Tyler. I think I owe you for half of that bottle you bought there (hard to believe we could run out of wine). 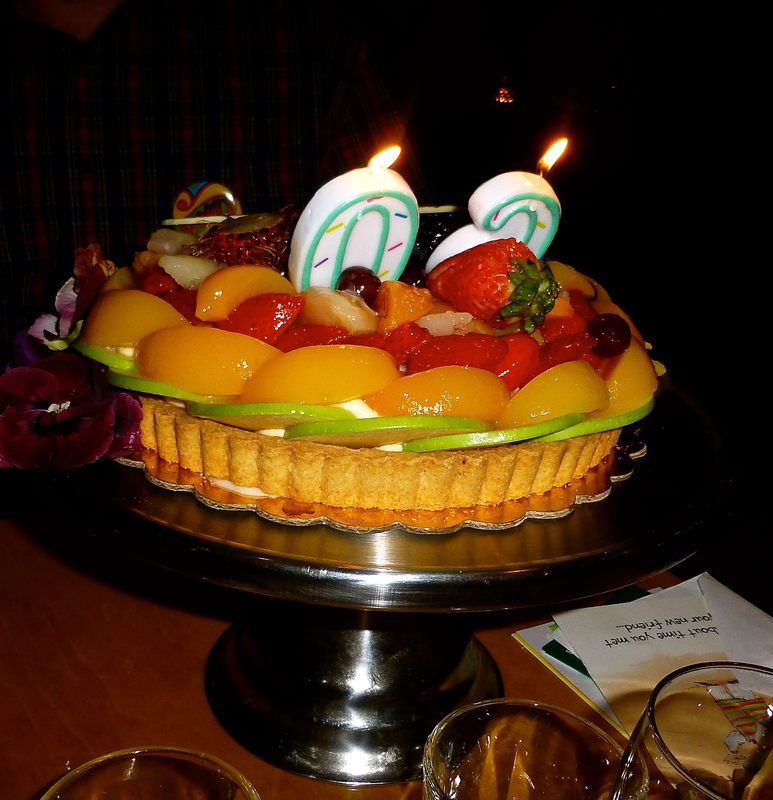 We did not have dessert the second night because Leslie brought a beautiful birthday cake for Andy (from the famed Porto’s Bakery). The folks at AltaEats were nice enough to carve it into slices for us. The service here both times has been second to none, and I read that Chef Ragan was very particular about who he hired as his waitstaff. It definitely shows. They are professional, cheerful and very knowledgeable about every dish. Both of our experiences have been nothing less than marvelous. From the great service to the delicious and innovative dishes, we have definitely been “wowed.” If you come here, some of the dishes I mentioned might not be on the menu, because it does change, but my guess is you’ll be quite satisfied when your evening has concluded. On our first trip, the bill came to $69 a couple (including tip). Due to some extra dishes that we all wanted to try, our second sojourn was $109 a couple (tip once again included in total price). In addition, AltaEats also has something called a “Sunday Roastie.” Order a meal that feeds about four people by 1 p.m. on a Sunday, and then pick it up by 5 p.m. A couple of recent Sunday Roasties have included Chicken Tagine with Cous Cous or London Broil with Yorkshire Pudding, Creamed Spinach and two loaves of Alta Bread (oh, I hope they have that combo again). Make sure to call them early because it is first call-first served. I read somewhere the owner/chef would rather AltaEats be considered an Altadena restaurant (hence the name), however, it does technically have a Pasadena address. But whichever city it resides in, make the trek (or in our case, the short drive) to the newly renamed by me AltaPasadena area and enjoy dinner at AltaEats. And be sure to try the beets!